We engage in strategic, political research and development to formulate solutions to strengthen democracy and, also, to create campaign innovations to win victories for advocates of health care reform, environmental protection, and better paying jobs. It is troubling. 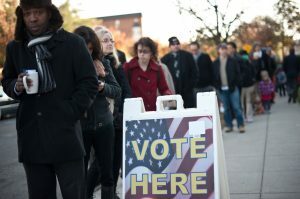 Voter turnout in the United States hovers around 60 percentage points, and there is a large gap between the rich and the poor and among race and ethnicity as to who casts a ballot. Although there have been successes around the country at increasing equity and turnout, there have been no quick solutions or easy answers. For our views on voter turnout and electoral policy, please read more here.